A key for Range Rovers manufactured between 1970 and 1995 cut to number or photo. We do not use original Range Rover blanks, we use high quality steel blanks manufactured by Silca. A single Land Rover key blade, cut to a photo supplied by you. This key blade will fit a genuine Land Rover remote key, so all you need to do is remove the old blade, put it in the new one, and the key will turn the locks. 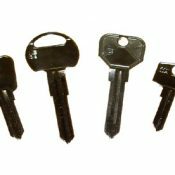 This key is compatible with the following Models and year vehicles: Range Rover Evoque, Range Rover Sport 2010 on, Range Rover Vogue 2010 on, Land Rover Discovery 4. 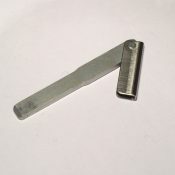 A single Land Rover key blade, cut to a photo supplied by you. This key blade will fit into a genuine Land Rover remote proximity key, so all you need to do is remove the old blade, and put in the new one, should you ever need it. 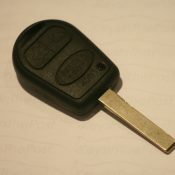 This listing is for a single Range Rover key remote case, with a blade cut to suit the locks on your car. This key case is compatible with cars made from 2006-2010. This key is a plastic case only, there are no electronics included, and the key won’t start the engine until you have swapped your electronics into it. This case comes with no logo. 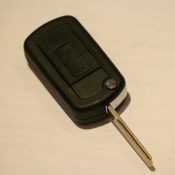 A single Range Rover key remote case, with a blade cut to suit the locks on your car. This case comes with a Land Rover logo.